Who doesn’t love a good bug craft? Summer is coming and no doubt you will be looking for things to do with your kiddos. Arts and crafts for kids are not only super fun, but they are also very educational. Pair a bug craft with a coordinating book and you will never worry about summer regression again. I had to tell you about this one first because it is one of those “shout it from the rooftops” amazing projects. Did you know you could make your own sidewalk chalk? And I don’t mean one of those crush it up and reshape it projects. I mean, did you know you could MAKE your own sidewalk chalk? You can! I was completely floored by Finding Zest‘s Homemade Sidewalk Chalk because I never knew you could make it at home. I’m not sure why I thought you couldn’t, but I didn’t know you could! Does that make sense? Hop over to Finding Zest to learn all about sidewalk chalk and how to make it for yourself with supplies most crafty mamas already have!—–>HERE. Save those paper towel rolls! Skip To My Lou has a fun butterfly craft that your kids can do on a whim with items you likely already have on hand. The next time your kids start running about with boredom, tell them to grab a few paper towels and meet you at the craft/kitchen table! Don’t spoil the surprise, just tell them to meet you there while you mix up a few bowls of colored water! 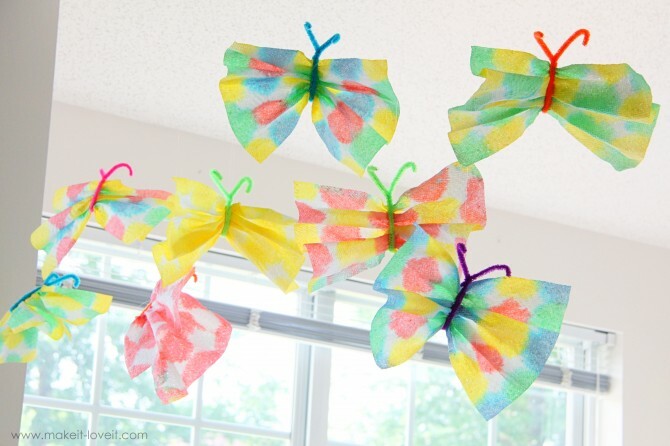 Using a simple tie-dye technique, your children will create beautiful symmetrical butterflies. Read the full tutorial—–>HERE. While you’re at it, don’t throw away those toilet paper rolls! If you aren’t using toilet paper rolls in your crafting, you’re missing out! Just a quick Pinterest search will display thousands of results for toilet paper art, upcycles, and crafting ideas. There are entire blogs devoted to turning toilet paper rolls into home decor! It’s amazing to me that something most of us toss out can be used in such an amazing way! This cute little dragonfly is one of those projects, but I have my own spin on it too. Before painting your dragonfly body, tape the front end of your toilet paper roll, to completely seal this end. Now, once your dragonfly is finished, insert a small straw into the back end of your dragonfly — blow! Now your dragonfly will actually FLY! 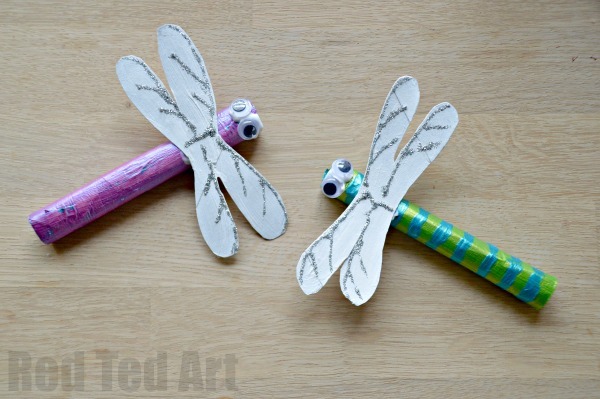 Learn how to make your Toilet Paper Roll Dragonfly—–>HERE. 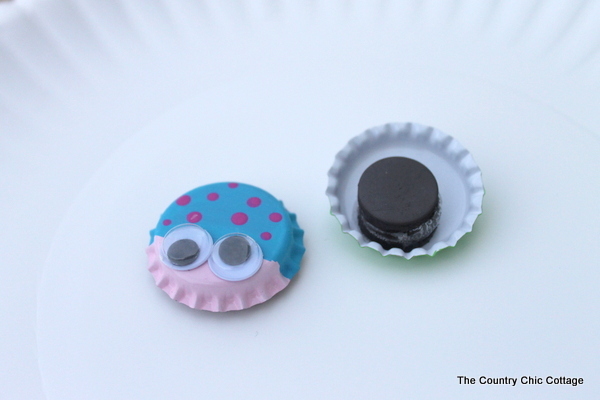 No set of bug craft ideas would be complete without a bottle cap craft. I know what you’re about to say, “I love these bottle cap bug magnets, but we don’t have bottle caps at home!” That’s okay! You can order sets of bottle caps in an array of colors for less than $5 online! You can find caps with designs on them, colored caps, all sorts of options out there for you before you start this cute project. And hey, who doesn’t NEED more magnets on their fridge? I know I always need them! These little bug magnets are the perfect size to hang your child’s latest projects because they don’t take up so much room, the kids made them, AND they are cute! Grab The Country Chic Cottage‘s easy tutorial—–>HERE. 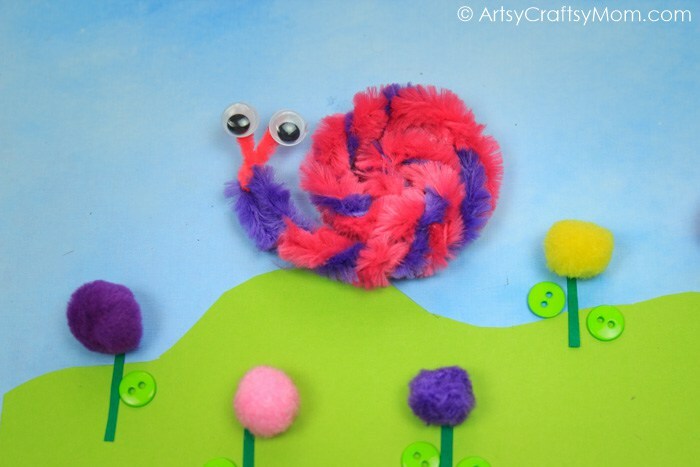 Save a few googly eyes from your bug magnet craft for this adorable Pipe Cleaner Snail! You may even be able to make your snail small enough so it will rest directly on top of one of your bottle cap magnets too! 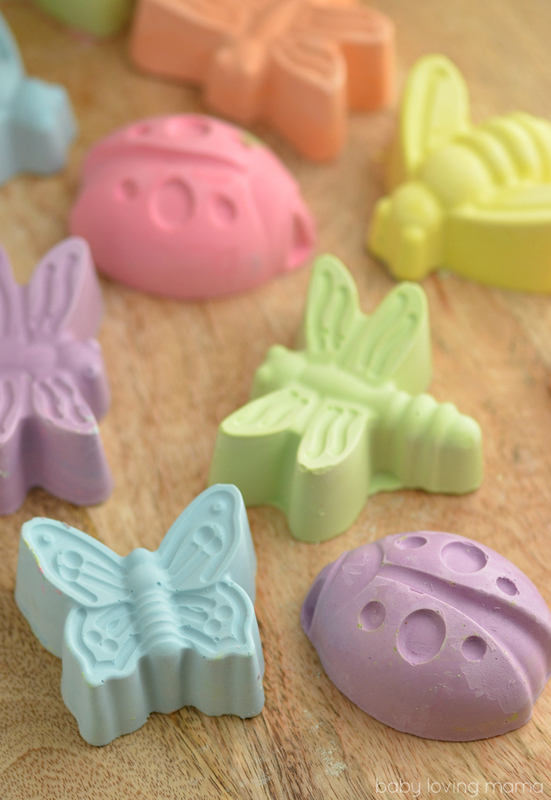 Your fridge will be covered in bug and snail magnets, just in time for Spring! This is an easy peasy project that is perfect for little hands. Not only is it a fun activity for them, but twisting the pipe cleaners is also a grasping and fine motor strength activity. Visit Artsy Craftsy Mom to read her craft directions—–>HERE. Every day is a new adventure, a time to play, and a beautiful day to have fun! Take a look at my list of FORTY backyard critter crafts. Complete one craft daily this spring or summer, and you will have a collection of beautiful butterflies, fireflies, bees, and bugs to enjoy! Click on the links below to read the tutorial. Please leave a comment letting my friends know you found them at Sweet Fireflies! The post 40 Bug Crafts for Kids appeared first on Behind the Mom Bun.